My name’s Quiness Clark. 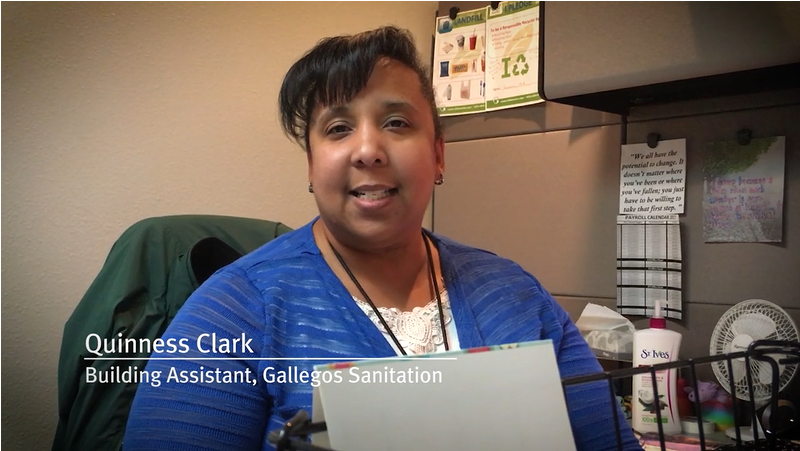 I work at Gallegos Sanitation. I’m a Building Assistant. I’ve used Logan the Navigator to help me with my taxes, and he also helped to get me into a class for first-time buyers and home things, so he’s very handy. And if you need help, it’s really easy just to approach him, and get the help that you’re looking for.